From the second you get your bound copies of your dissertation to when you hand it over to your department you will feel a bubble of uncontainable excitement rise up in you. Embrace this – you’ve spent the last year working hard. Jump up and down, do a small dance or, as I witnessed in the bookshop earlier this week, a happy scream. Wait, did you correct the spelling of Nietzsche in the bibliography? Was it 1.5 line spacing or 2? Did you accidentally print the entire thing on fluro pink paper? Was most of your argument based on that weird dream you had in the middle of June? The temptation to sprint back to your department and wrestle it out of the hands of the administrative team (don’t) will feel overwhelming. Stop. Take a deep breath, stretch and allow your muscles to relax. 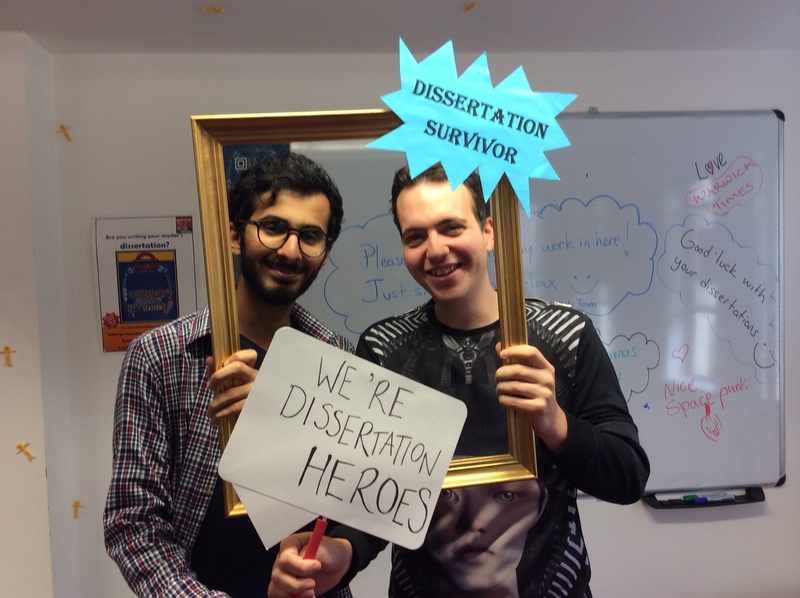 Remember you worked hard on your dissertation and feel proud. And DON’T reread your manuscript – you can’t change anything. Embrace that it is over. Once the initial rush of emotions have subsided you might start to feel a little… empty. The thing that has consumed your thoughts, hung over you every waking minute, the biggest piece of work you’ve ever written is done. It’s easy to feel a little lost at the end of a big project. Make the most of your new found freedom, catch up on your hobbies, get out of the house and meet up with your friends. Although, I am sure you have already begun planning for life after Warwick, once your dissertation has been handed in it all becomes a bit real. There are lots of big decisions to make which can feel scary. Attack this feeling practically. Make a plan, work out where you want to be, think about how you can (realistically) get there, maybe even use a spreadsheet if you are that way inclined. Ok. Not entirely an emotion but important to remember. It’s easy to get tangled up with the busy-ness of finishing university, moving house, starting a new job that you don’t get to celebrate this massive achievement. Get your friends together and let your hair down. Or better still, head to PG Tips on a Tuesday afternoon. Take a selfie with our wall of achievements and then grab a cup of tea. The PG team might even do a Mexican wave for you. So, let me be the first to congratulate you (and if you’ve not handed in yet, re-read this once you have). Completing your Master’s degree is a massive achievement, allow yourself to bask in the pride and, when they come, enjoy those extra letters at the end of your name. Well done!